Charlee Shaw continues to make strides on long road to recovery	. 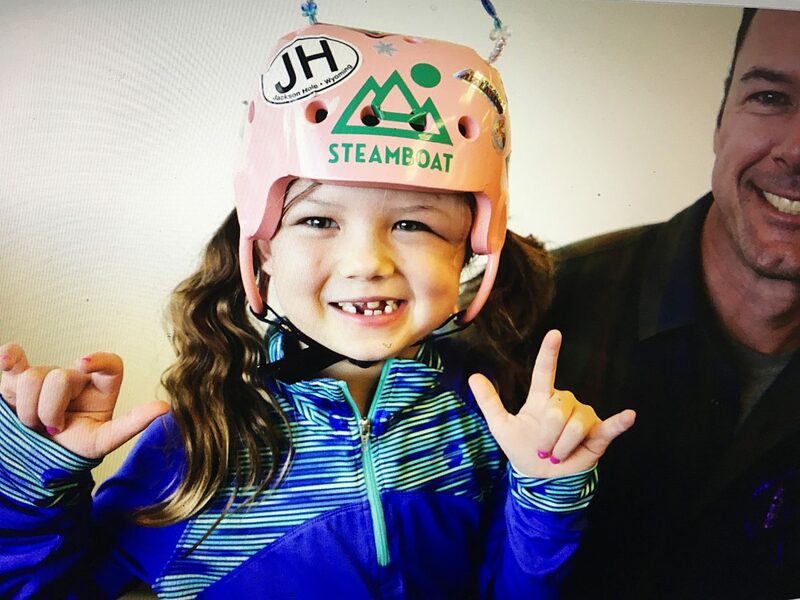 STEAMBOAT SPRINGS — Life will never be the same for his family, but Brett Shaw is doing everything he can to make the best of a tragic situation and to find inspiration from his daughter Charlee as she continues to recover from injuries suffered in a Christmas Eve accident that claimed the life of her mother. Donations for the family can be made to the Sancy Shaw Memorial Account at Yampa Valley Bank in Steamboat Springs. A GoFundMe page has also been set up to collect donations for the family at gofundme.com/4rvazs-shaw-family. 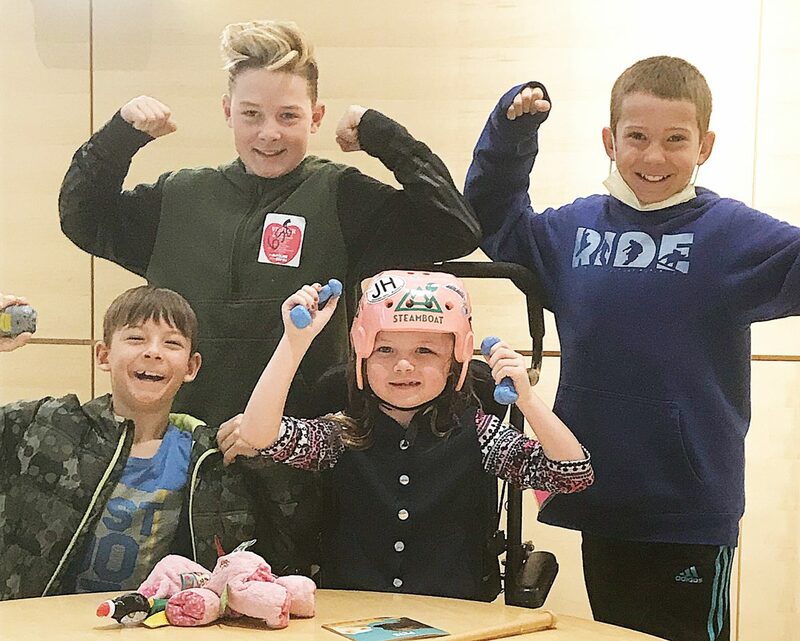 "It gives me hope that we are going to get back to some resemblance of normalcy," Brett said of his daughter's continued progress at the Pediatric Rehabilitation Department at Children’s Hospital Colorado. "It's a miracle, and I just continue to see this miracle unfold on a daily basis. It makes me proud of her and her hard work. There is a very sad aspect to it in that Sancy is not here to see all this progress, but I think that she is watching over us." Sancy and Charlee Shaw were traveling west along Interstate 70 near Genesee on Christmas Eve when the Suburban they were riding in was struck by a truck that was traveling east on the other side of the highway but had swerved across the median. Sancy, Brett's wife of 15 years, and the driver of the other vehicle were killed. Charlee was airlifted to Children's Hospital, where she was treated for several severe injuries, including head trauma the affected her speech and other motor skills. "The doctors are very much amazed," Brett said. "We don't know an exact timeline, but we are hoping that we will be able to bring her home here in a month or so." Twelve days after the accident, doctors were not sure the 6-year-old would ever regain her ability to speak. But in the past month, Charlee has continued to progress. She said her first words since the accident Jan. 14. "She was not speaking, and the thought was that there was a really good chance that she would never speak again," Brett said. "The first words she said were, 'I love you' — I couldn't ask for anything better." Brett has been splitting his time between his home in Clark, where his boys are back in class at the North Routt Charter School, and Denver, where Charlee has been since the accident. Charlee is now at a point where she can read and talk. Brett said her communication is more reactionary at this point, but she is able to answer questions and respond to the people talking to her. She left her wheelchair behind about a week ago. Charlee's days at Children's Hospital include two hours of physical, occupational and speech rehabilitation therapy, which normally begins at 8 a.m. She gets an hour off before heading to what Brett refers to as school from 11 a.m. to noon. Then after her lunch break, she heads back for another rehabilitation session in the afternoon. "She is walking with assistance, which has been great," Brett said. "She is able to squat down and pick something off the floor." Brett said Charlee’s best moments happen when her brothers visit. Brett said Charlee’s expected to undergo surgery to replace a part of her skull that had to be removed after the accident. The doctors are currently waiting for a special plate to be made. After that Brett is optimistic that Charlee will be able to come home, and his family will be back together in North Routt, where his parents, who sold their business, have moved to help him with the children. Until then, he is doing his best to create special moments for his family. 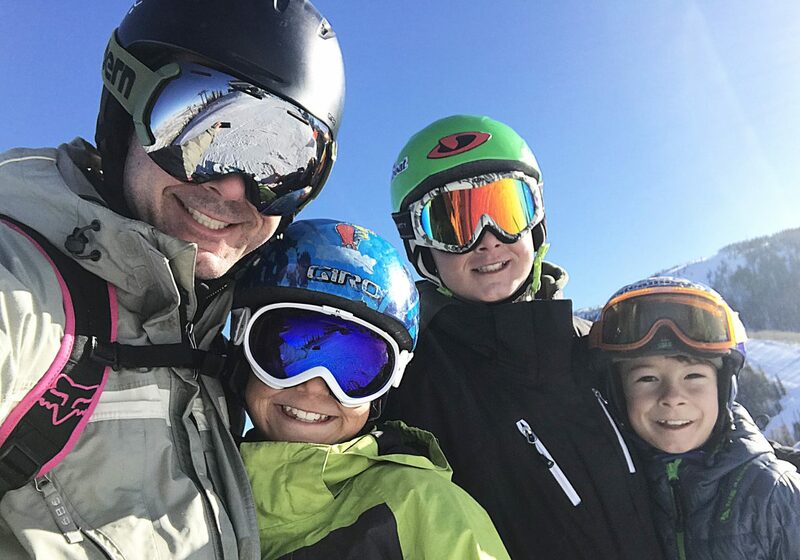 He recently got to spend the day on the mountain skiing with his sons Jaxon, 9; Mason, 11; and 13-year-old Wyatt. 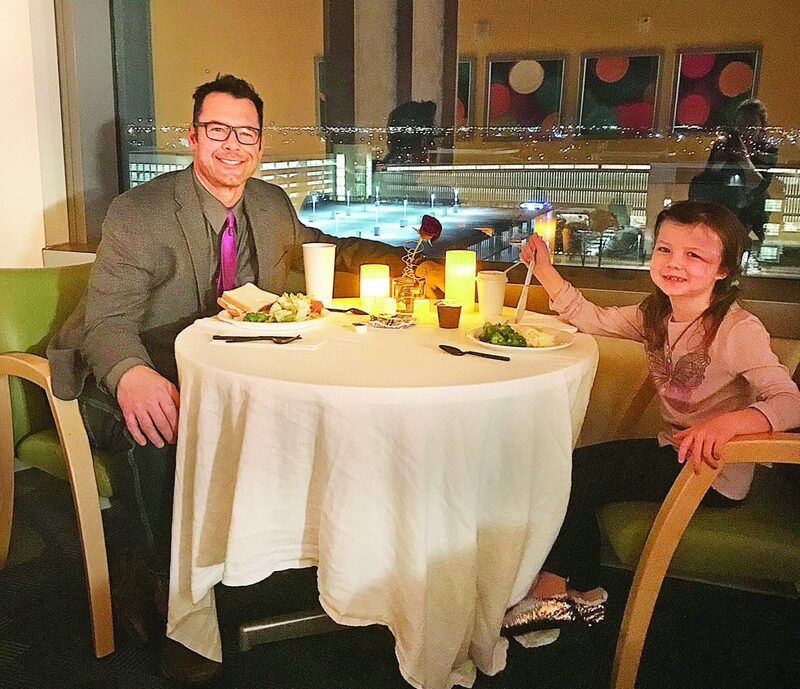 He also created a special "date night" where he and Charlee got dressed up and imagined that a hallway that leads to the cafeteria, which is lined with paintings, was an art museum, and the waiting room with a fish tank on the floor above Charlee's was an aquarium. The night ended in front of a window that overlooked the Denver skyline where Brett used a bed sheet he found in a linen closet, fake candles and some tasty food to create a night he hoped would make Charlee feel special. "It was therapeutic for both of us," Brett said. "Hopefully, she felt special, and it was a lot of fun for me to plan something like that. We had really good weekend of just spending time with one another."